Try our new Quick Quote facility. There are only 7 questions! get the deal you want! No long forms to complete with Wicked Quotes Quick-Quote service. Just seven simple questions and we can give you an instant quote – and we don’t require any personal details. It’s what our customers like about us. 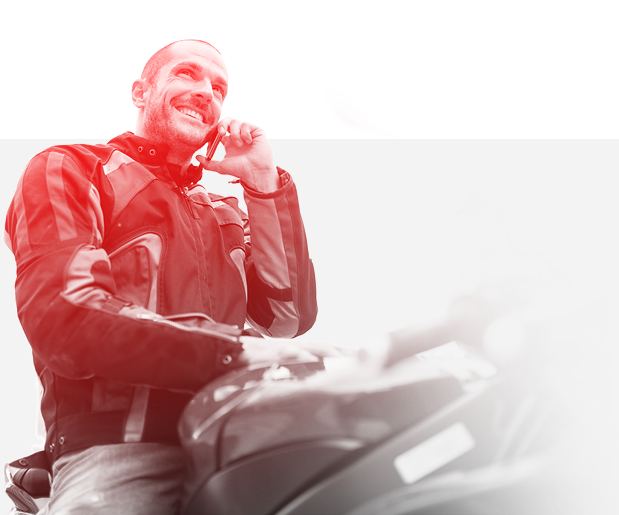 We have negotiated some innovative Motorbike Insurance Schemes with a select group of motorbike insurance specialists – offering great cover at very competitive prices. Wicked Quotes offers a bespoke, personal and professional service – and it doesn’t just end when you buy your policy. Our staff are on hand to assist you with any queries, claims or cover concerns you have – we are just a phone call away. The combination of our staff’s knowledge and experience along with our excellent Motorbike Insurance Schemes has seen us grow into one of the UK’s largest independent motorbike insurance providers in the last 15 years. Online Quick Quote - then buy online! This can give you a strong reduction in your premium. Limiting your milage can reduce your premium. Always provide your valid NCB documentation from your previous insurer. Completing advanced riding courses decreases your risk as a motorbike rider. Some policies will offer a discount when these additional precautions have been taken. Stay solo on your policy if you are unlikely to take a passenger. Yes, you can spread the cost of the cover. Do you offer short term insurance? No, we do not offer this on motorbikes. Yes, you would need to call our customer service team to discuss a change to the policy. What happens if I want proceed with a motorbike insurance Quick-Quote? The Quick-Quote is based on some standard assumptions, if these are all correct, you can proceed through the online ‘proposal form’ pages and purchase a policy. If your situations does not match the presumptions, we will most likely be able to still cover you, but the price might change accordingly. You can simply call us to clarify the changes. My motorbike is modified – can you cover it? Yes, we offer modified motorbike insurance, so there should be no problem covering it. Just advise us what modifications have been made to the vehicle. Do you offer multi-bike insurance policies? Yes, we do. You can cover more than one bike under our policies. Do I get a discount for adding security to my motorcycle? Yes. Some of our schemes require certain security levels and some will include a discount. I am not a UK resident can you insure me? Yes, it should not be a problem. Just enter your correct driving licence information in the quote process. Each complete year of insurance, you earn a ‘no claims bonus’ if you do not have a claim, regardless of fault. If you have a non-fault claim, your no claims bonus will be affected until the claim is resolved. There are levels of no claims bonus, which entitle you to a discount off your next policy. It is also exchangeable between different insurance companies, but you are responsible in getting the relevant evidence of ‘no claims’ from your previous insurer. No claims bonus can expire if you have a period of not being insured in your name. NB: if you state during the quote process that you have a no claims Bonus and you do not supply this evidence within a limited period, you will need to pay an additional premium or possibly have your policy cancelled. Do you provide cover for track day rallies? Please visit our claims page for full details of how to report a claim.